Welcome to the first Revolvers Only Recap! Today's post is going to be a bit different but hopefully everyone will enjoy. Recaps include summaries, my thoughts, or shameless promotion of the most recent blogs. Recaps will occur every eighth post and serve two purposes. First, they provide a concise overview of previous entries for those who might have missed them. Second, they give me a bit of a break while I organize future posts. Although I don't plan to post next week, there will be a new post in two weeks. Until then, please take a gander at any articles you might have missed or might want to reread! This was the first post on the Revolvers Only blog! While not the most exciting, it covered the basics of who, what, where, and, why this page exists. 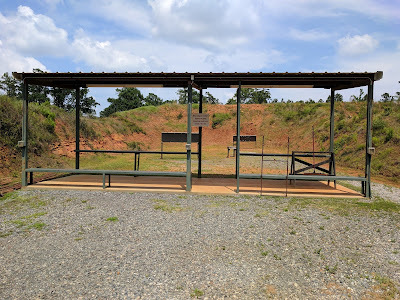 Bay 10 is still the normal venue for most shooting and the supply of Remington 130gr FMJ .38 Special has not been depleted so there will be more content coming. This was the first review of a wheel gun that I attempted. The format for reviews includes the following: specifications, features, upgrades, and shooting impressions. I think this is the one to own if you can only own one. As this was the first revolver to enter my collection, selecting the 686 as the first review was a fitting decision. I know. 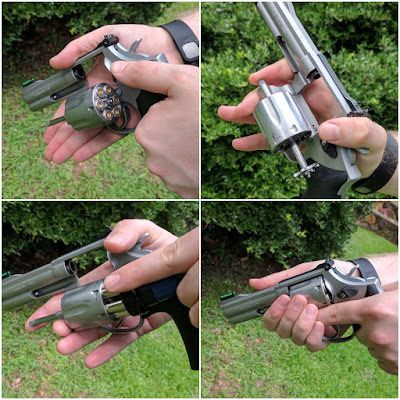 Reloading is not a particularly thrilling topic, but it is an essential skill to learn if you plan to shoot revolvers. I also didn't want to wait too long to cover this topic in case any other lefties were reading. At this point, my technique hasn't changed and I feel more comfortable after every reload. 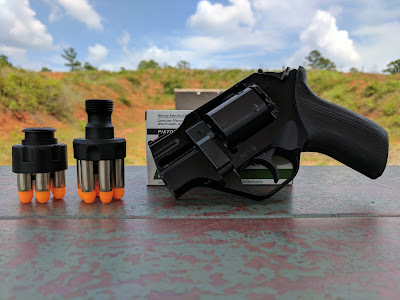 The Chiappa Rhino is the most unique revolver I have reviewed up to this point. The placement of the barrel is an innovative design that actually works to reduce muzzle flip. The review includes specifications, loading, kydex, and shooting impressions. I still stand by my recommendation of this wheel gun particularly for shooters who have difficulty managing recoil. I'm on the hunt for a model chambered in 9mm or maybe even .40 S&W if there is a deal to be had. This was the first of many match reviews on Revolvers Only! Steel Challenge is incredibly fun and I am disappointed that I waited this long to try it out. In addition to the S&W 617 revolver, I have also run the Ruger 10/22 with a red dot optic. Now that was a blast. I managed to get some very quick strings with both rimfire guns and hope to pick up an eight shot wheel gun for a centerfire option. 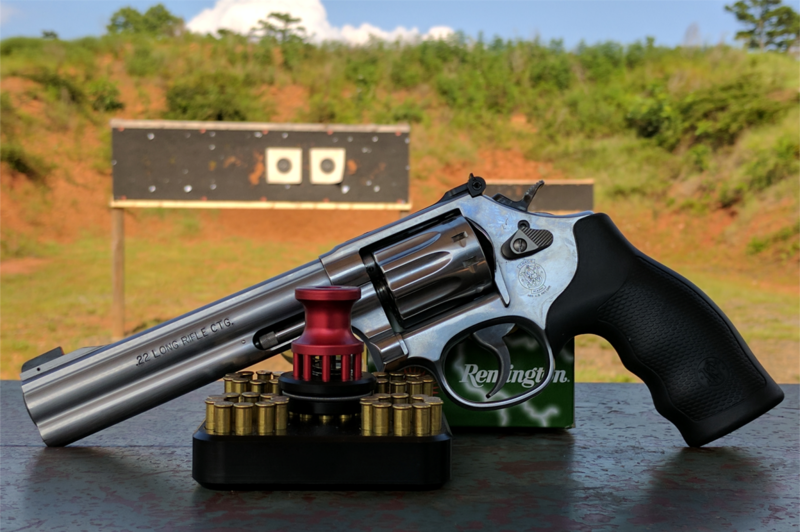 Post #6 Smith & Wesson 617: The Perfect Target Revolver! Thus far this has been the most popular post. I honestly didn't think this would be more popular than the Chiappa Rhino, but I was wrong. The review includes specifications, accessories, upgrades, and an accuracy test. I will continue to shoot this in steel matches and it will be visiting the gunsmith for a bit of work in the next few weeks. Keep an eye out for another post on any improvements made! I wasn't sure how well this type of post would perform, but based on views gathered thus far it is toward the top. 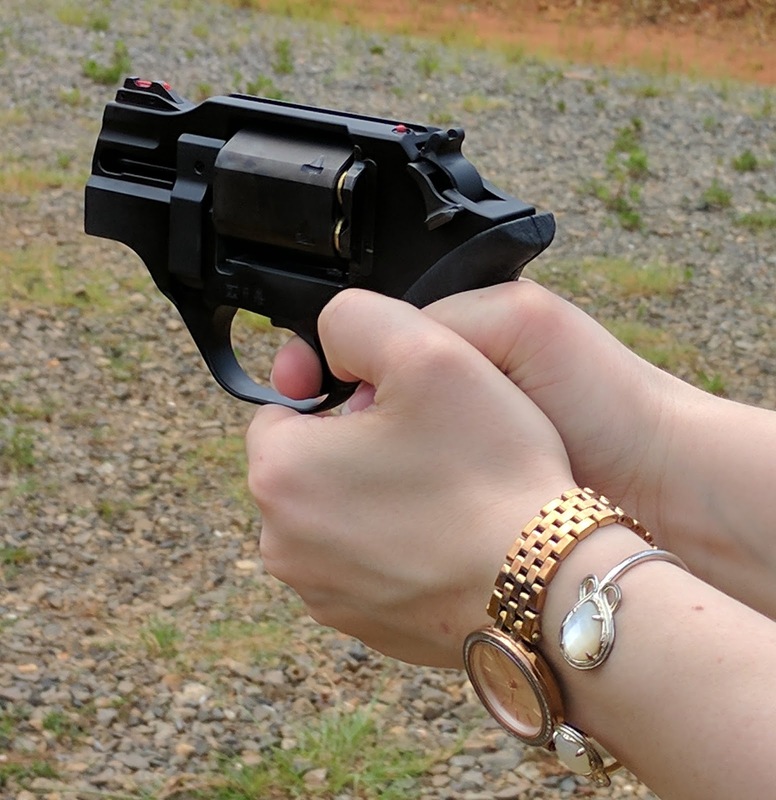 I enjoy working with shooters who are unfamiliar with revolvers. 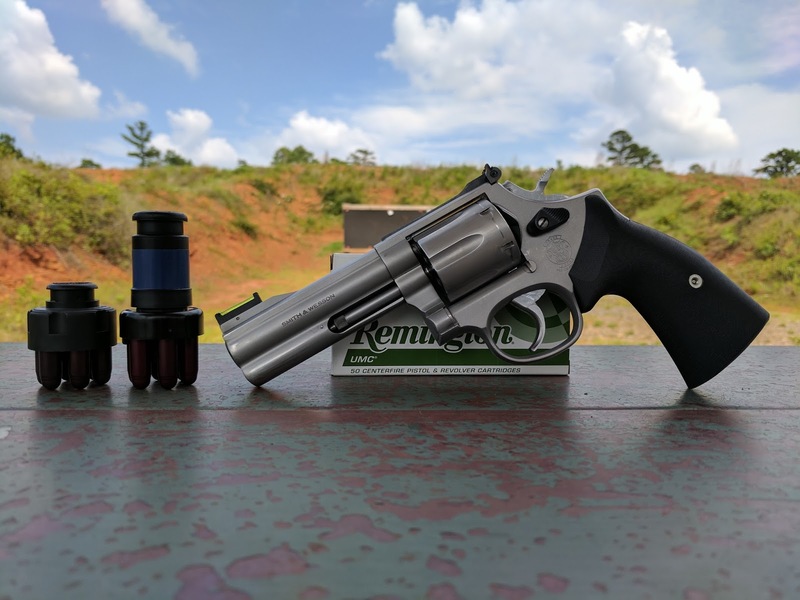 I am one of those folks who believes that a duty sized revolver might be the best option for someone what wants a gun but doesn't plan to practice all that much. Maybe I'll even post on that topic down the road. So after several posts, I guess the next question is what is the future of this blog will be. There are definitely more revolvers out there that must be shot. Between friends, family, and future purchases, there will be plenty of models to test. 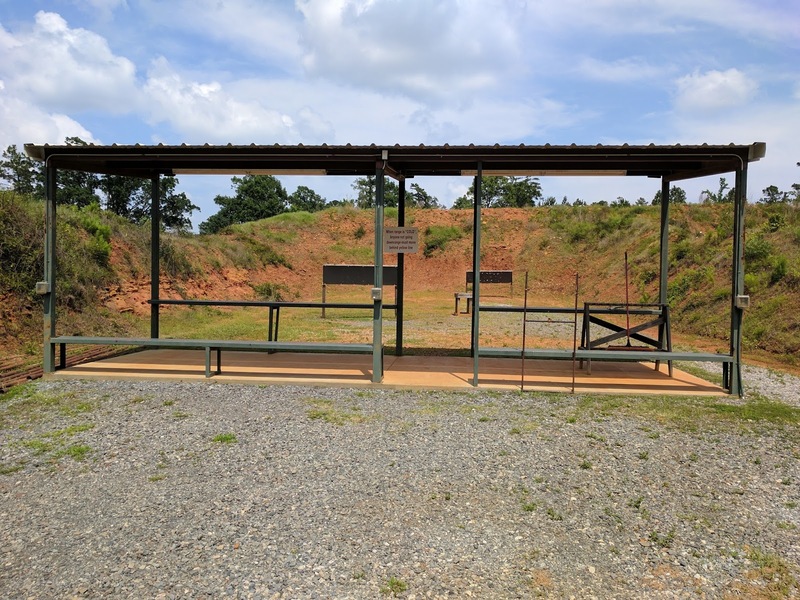 There are also several matches in my area each month including IDPA, Steel Challenge, and even USPSA will start this fall. Reviews may be a bit less frequent as I start competing more, but that doesn't mean they will stop. I hope you have enjoy the content thus far and will continue to come back for more.